URS Connect Mobile is Here! 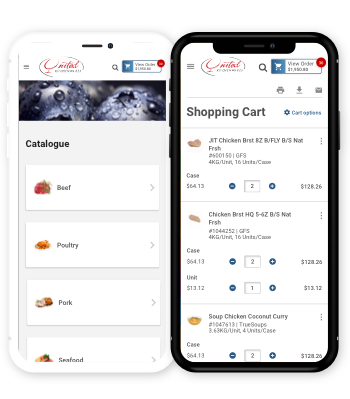 URS Connect Mobile is your solution for placing orders, looking up product information and managing inventory while on the go. This tool reshapes the relationship between you and United Restaurant Supplies, as it makes it easy to keep organized and order the products you want. Already have the app? Download our Getting Started guide. United Restaurant Supplies is a national supplier of foodservice prodcts serving the Toronto area.